Noem My Skollie (Call Me Thief) is Daryn Joshua's emphatic debut and Dann-jacques Mouton's breakout performance, but the heart of this year's South African Oscar submission belongs to its writer, John Fredericks, on whose life growing up in the townships around Cape Town, and in the infamous Pollsmoor Prison, the story is based. Though the autobiographical threads contribute an undeniable gravitas, the film's success ultimately rests on the phenomenal performances of Austin Rose and Dann-jacques Mouton, who play the fictional protagonist AB during two periods of his life. In youth, the filmmakers turned to Rose, a remarkable new talent who handles some of the story's most difficult material with a stoic maturity that belies his age. In adulthood, AB is played by Mouton, who has now delivered two of the most riveting South African performances in as many years, following his role in last year's Abraham (the final film from South Africa's most celebrated director, Jans Rautenbach, who passed away earlier this month, aged 80). AB has a gift for storytelling, from a young age, but an assault of the worst kind compels him to form a gang with his young friends, the better to protect each other. Eventually AB finds himself in jail, and at the whim of the notorious Numbers gangs. There he uses his story-telling talents to evade the worst of prison’s prices, and the otherwise inevitable - and irrevocable - indoctrination into Numbers society. A word of caution: it’s a tough film at times. Like, Cannes tough, though not quite Irreversible, if you get my drift. The film does not shy from reality, and reality within Pollsmoor Prison, and indeed outside it, can be difficult to watch. Frankly, Noem My Skollie's widespread popularity with local audiences is surprising given some of the content, but the fact that Fredericks is still around to write and tell his story promises a cushion of hope, which does help to soften some of the crueler blows. 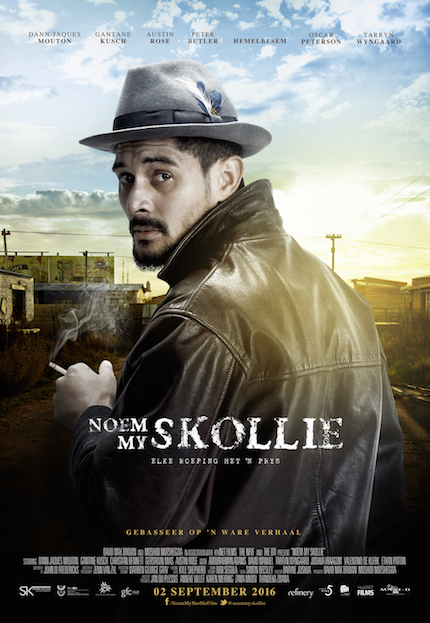 Only two* prior productions from South Africa have garnered Oscar attention for Best Foreign Language Film; it’s been some time since I last saw either Yesterday (nominated) or Tsotsi (won), but I think Noem My Skollie is at least as good as its predecessors. It remains to be seen whether the Academy deems the film worthy of a nomination, but I personally deem it worthy of your attention.